25 jewels from the Emerald Isle for easy guitar. 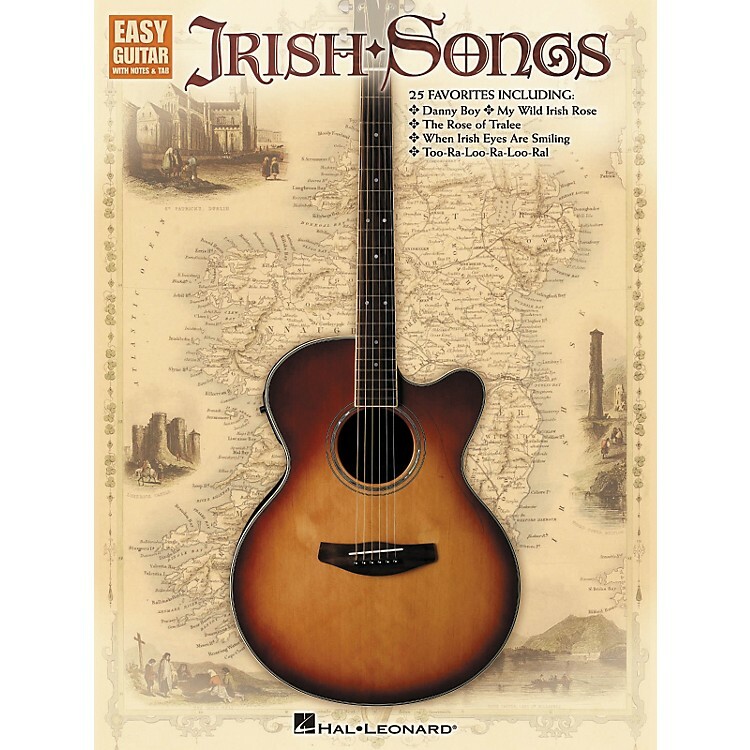 Hal Leonard's Irish Songs captures the luck of the Irish with 25 Celtic favorites in popular easy guitar notation with tablature. It's an ideal collection for St. Patrick's Day or campfire sing-a-longs. "Mary's A Grand Old Name"
"Molly Malone (Cockles & Mussels)"
"Too-Ra-Loo-Ra-Loo-Ral (That's An Irish Lullaby)"
Order this incredble songbook today!